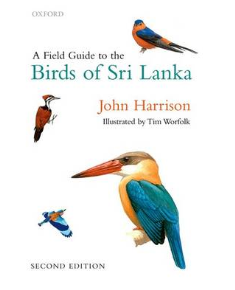 This is a comprehensive field guide to Sri Lanka's avifauna, containing 49 colour plates by Tim Worfolk. All 426 species on the official Sri Lankan list are described. An introduction to the guide describes briefly some of the best sites for watching Sri Lanka's birds, and provides useful contact addresses. 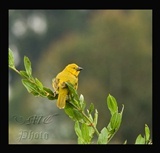 Two weavers are covered: Streaked Weaver Ploceus manyar and Baya Weaver Ploceus philippinus. The plate illustrates the male (breeding plumage) and female and nest. Maps with distribution in Sri Lanka are shown. The main text includes brief notes on identification, voice, status and distribution, nesting, and range (global range). Read part of the book in google books here.